Hosting a dinner party can be stressful. From planning, prepping and cooking, you’re in charge of making sure your guests enjoy the dinner. Taking steps to plan ahead and prepare what you can before the dinner begins will help keep you from getting overwhelmed. Read our Top Tips for Hosting a Dinner Party below to help you plan your next get-together. Need place cards for your next dinner party? Check out our printable Place Card Templates. 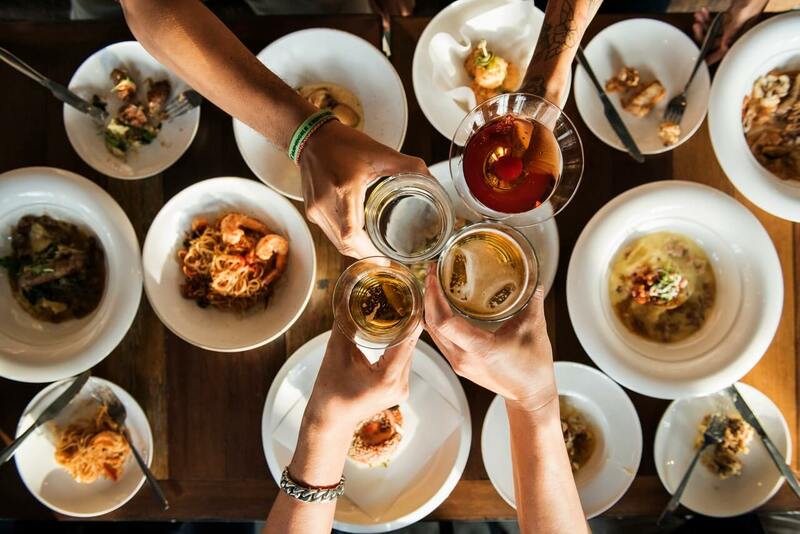 When deciding on a guest list for your next dinner party, keep in mind the amount of food you will have to serve. You could get bogged down with too much food prep if you invite too many people. Start a list of everyone you would like to invite and determine whether or not you can handle preparing food for that many people. Having your dinner party catered? A caterer will take a lot of stress off of you by handling all of the food preparation. You can find tasty-sounding recipes on Pinterest and start a board where you can pin all of your favorites. You may have your own cookbooks and choose to reference them for recipes. Organize your list of recipes by appetizers, main course, sides and desserts. Once you have all of your recipes organized, choose your final picks for your dinner party menu. Be sure to consider whether or not the recipes you choose will go well together. You don’t want to overwhelm your guests by having dishes that are all savory or all spicy. Shop for recipe ingredients and party supplies a few days before the day of your dinner party. If you wait until the day of to shop, you risk not being able to find ingredients you need and you will end up creating more stress for yourself. Another way to reduce stress is to do as much food prep as you can the day before. Be sure to read through your recipes to make sure you don’t forget a necessary step. To host a great dinner party, you need to to help people mingle and have a good time. One way to do this is to make seating arrangements before your guests arrive. Not everyone likes to plan where their guests will sit, especially if you’re hosting a more casual get-together, but you might be surprised at how well conversation flows when you have planned who sits next to whom. Be sure to give yourself time to organize your seating arrangement. It takes time to consider who should sit next to each other based on personality types and interests. You don’t want to sit two quiet introverts next to each other, or two people who have nothing in common. Take the time to consider which of your guests will have the most in common and base your seating arrangement on that. Once you figure out your seating arrangement, you may want to take a moment to figure out how your table will be set. Check out some table setting tips here. We hope these tips on hosting a dinner party will help you plan your next get-together. Be sure to check out our Place Card Templates. We recommend using Hammermill® Premium Color Copy Cover 80 lb. printer paper for printing our Place Card Templates.